SunBriteTV has begun shipping its new Signature Series SB-3260HD and SB-5560HD outdoor LCD televisions to consumers nationwide. According to the company, the new line of 32-, 46-, 55- and 65-inch models offer outdoor LCD TVs at affordable prices while maintaining weather-proofing features and technologies. The Signature line models are designed to resist rain, humidity, salt corrosion, dust, and insects, and are equipped with internal cooling systems to withstand outside temperatures up to 122 degrees Fahrenheit. All models have special anti-glare screens and are specially designed to deliver sharp, bright high-definition in the outdoor environment. Each includes a sealed wiring compartment to keep moisture out, powerful audio systems, and a weatherproof remote. SunBriteTV models provide a host of wall-, ceiling- or pole-mount installation options, and are available with optional accessories including dust covers and FM Radio. All SunBriteTV outdoor TVs are backed by a two-year warranty and are available at authorized SunBriteTV retailers. 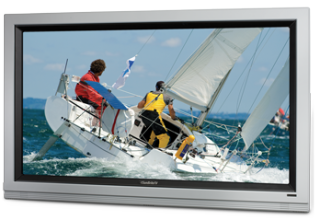 In addition to consumer TVs, SunBriteTV offers a complete lineup of all-weather outdoor LCD TVs for commercial applications.